ASTANA – President Nursultan Nazarbayev unexpectedly delivered his new state-of-the-nation address in Astana on Nov.11 at an extended session of the Political Council of the Nur Otan party, introducing what he termed a new economic policy heavily emphasising massive state investment in infrastructure over the next several years. In previous years, the President’s address was delivered in January and February, sometimes in December. 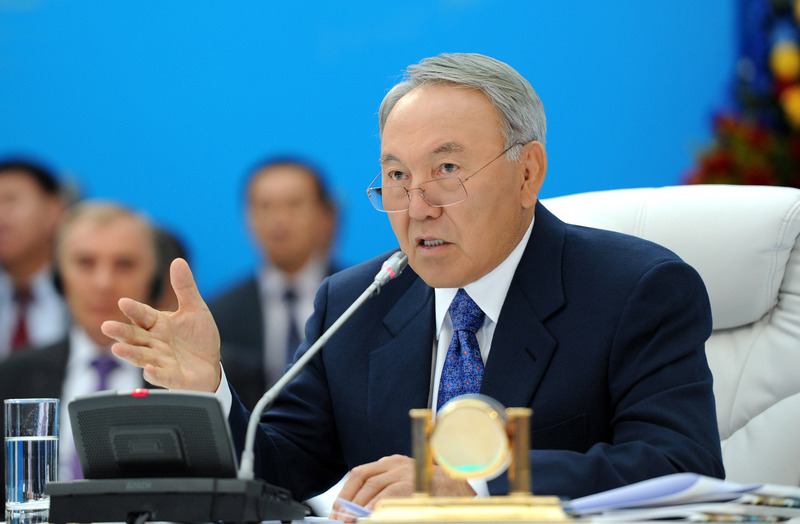 Yet, reflecting the urgency of preventive measures needed to help steer the economy towards sustainable growth, Nazarbayev decided to move forward the date of his address so that the government would have time to introduce proposed anti-crisis steps into the budget plans for the upcoming year and proceed to work promptly. Kazakhstan’s economy has grown 4% in the first nine months of 2014, slower than expected, and is already feeling the heat from both the 25%-reduction in the oil price, its key export commodity, over the past two months and the reciprocal sanctions between the West and Russia over Ukraine. “I, on the basis of my experience, feel that the next few years will be a time of global challenges. … Kazakhstan as a part of the global economy and a country situated close to the epicentre of geopolitical tensions is affected by these [changes in the world economy]. We see decreases in prices on international markets and a general slow-down of the economy. … The World Bank and IMF [International Monetary Fund] had re-evaluated their global growth forecast for 2014. That is why we need to quickly examine our positions and adjust plans for the coming years,” the President said in his address televised live on several TV channels. In response to challenges facing the nation, the President announced a new economic policy called “Nurly Zhol” (Bright Path). In some respects, the new policy resembles what Kazakhstan has done rather successfully to alleviate the pressure from the 2007-2009 global economic slowdown, as well as the New Deal policy by U.S. President Franklin Delano Roosevelt in 1930s. The policy embraces all aspects of economic growth, including finances, industry and social welfare, but especially emphasises investments into the development of infrastructure and construction works. Given recent decreases in revenues from the export of raw materials, funds will be used from Kazakhstan’s National Fund. Created in 2000 and modelled on Norway’s Petroleum Fund and other similar “rainy day” funds, it has accumulated $76 billion from Kazakhstan’s oil and other raw material exports revenues. “In the years when the situation on external markets favoured us and prices for our export commodities were relatively high, we directed those revenues into the National Fund. Its aim was to increase the sustainability of our economy in the face of external shock, including low prices on our commodities,” the President reminded. In 2007-2009, the government used $10 billion out of the National Fund to mitigate the effects of the global financial crunch that negatively impacted Kazakhstan’s economy . “The remaining money [in the National Fund] was not spent, instead we saved [those funds] and more. Now is the period when we should use these reserves. 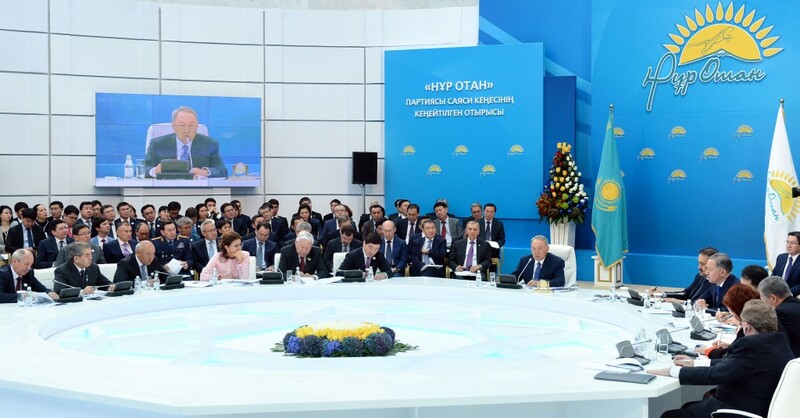 They can help us weather tough times and stimulate growth in our economy,” Nazarbayev emphasised as he announced an important change of approach to the National Fund. He said the new allocation should be used for building objects of transport, energy, industrial and social infrastructure, as well as supporting small and medium enterprises (SMEs). “I’ve made a decision that the National Fund will allocate an additional $3 billion annually to support our economy in the upcoming three-year period. To this end, the government is to prepare the corresponding decree in a week and allot the necessary funds in the draft national budget for 2015,” the President announced. Nazarbayev added that “a special commission will strictly observe the use of each tenge” and report to him personally. He underlined that the second tranche of 500 billion tenge (US$2.8 billion) from 1 trillion tenge (US$5.6 billion) allocated by the National Fund in February to boost economic growth and employment in 2014-2015 should contribute to implementing five key goals. First, 100 billion tenge (US$560 million) will be allocated for concessional lending to SMEs and ensuring implementation of important projects in the food and chemical industries, mechanical engineering and service sector. Second, 250 billion tenge (US$1.4 billion) would provide additional capitalisation for the government-run bad loans fund. This would help further rehabilitate the country’s banking sector by buying out the private banks’ non-performing loans. Third, 81 billion (US$447.7 million) will be channelled into the construction of infrastructure of the special Khorgos economic zone, which serves as Kazakhstan’s gate into the enormous market of China, and the national industrial petrochemical technology park objects in Atyrau and Taraz. Fourth, the head of state ordered the allocation of an additional 40 billion tenge (US$220 million) into construction of the EXPO 2017 complex in Astana. Fifth, with the global exhibition event getting closer, President Nazarbayev directed 29 billion tenge (US $160.2 million) be allocated to expand the Astana airport, including constructing a new terminal and reconstructing the air strip, as the existing facility has already reached its maximum capacities in serving a passenger flow of 3.5 million annually and as this number is expected to grow significantly in the coming years, and especially in connection with EXPO 2017. The new economic policy Nurly Zhol itself will be centred around the infrastructure development plan, designed for five years, to coincide with the second five-year Programme of Accelerated Industrial and Innovative Development (PAIID). The plan’s overall investment portfolio is estimated at 6 trillion tenge (US$33.1 billion), of which 85 percent would come from private investors, including from foreign countries. The plan envisages extensive development of transport networks and logistics infrastructure as part of shaping the macro-regions inside the country that would be concentrated around their hub cities. The nationwide network would connect macro-regions between them, as well as with Astana, through roads, railway links and airlines. Most attention would be paid to implementing major road projects: Western China – Western Europe; Astana – Almaty; Astana – Ust-Kamenogorsk; Astana – Aktobe – Atyrau; Almaty – Ust-Kamenogorsk and Karaganda – Zhezkazgan – Kyzylorda; Atyrau – Astrakhan. A large-scale ferry service from the port of Kuryk along with the Borzhakty – Ersai railway link would contribute to increasing export potential in the direction across the Caspian Sea. To that end, the government will examine opportunities to build or lease terminal facilities and dry ports and sea-ports in China, Iran, Russia and the European Union. In energy infrastructure, the government is to focus on developing two high-voltage lines: Ekibastuz – Semey – Ust-Kamenogorsk and Semey – Aktogai – Almaty – Shymkent that would ensure a balanced energy supply by local power plants to all regions of the country. Other significant issues on the agenda include upgrading public utilities infrastructure and water supply systems, attracting investment from the European Bank for Reconstruction and Development (EBRD), the Asian Development Bank (ADB, and the Islamic Development Bank (IDB), as well as private investors. This would require annual allocation of no less than 200 billion tenge (US$1.1 billion) until 2020, the head of state said. As the President noted, increasing urbanisation is creating additional stress on the housing market. In this respect, Nazarbayev announced an upgrade to the state programmes on the construction of rental houses (with apartments available for long lease with a purchase option). The change would exempt less affluent candidates from the need to make an initial deposit and help get lower interest rates from banks. To this end, 180 billion tenge (US$995 million) would be allocated in 2015-2016. If implemented, the programme is clearly going to make rent and housing more affordable to the citizens. In education, 70 billion tenge (US$387 million) would be allocated toward repairing a number of schools on an emergency basis and eliminating by 2017 three-shift education where it remains. Regional authorities would receive and additional 20 billion (US$111 million) to radically reduce overcrowding in the preschool system. At the same time, the new industrialisation programme previously designated 10 key universities as hubs for training specialised personnel and enhancing links between science and the real economy. The President instructed the government to allocate 10 billion tenge (US$55.5 million) by 2017 to upgrade their equipment and other relevant infrastructure. Highlighting the importance of SMEs for the national economy, Nazarbayev reminded that the earlier allocation of 100 billion tenge (US$560 million) from the National Fund helped create 4,500 new jobs. In line with the Kazakhstan 2050 Strategy, the work on increasing SMEs’ share in the nation’s GDP to 50 percent is to be continued, he said. In this respect, he instructed that loans totaling 155 billion tenge (US$857 million) over the next three years from the Asian Development Bank (ADB), EBRD and World Bank be used efficiently. President Nazarbayev underlined that structural reforms in relevant areas of the economy should accompany investments from the National Fund, and this requires drawing from international financial organisations to implement joint projects. He stated that the World Bank, ADB, EBRD and IDB were ready to allocate about $9 billion to 90 priority projects to support investment activity, prevent a decrease in incomes and stimulate job creation. This would ensure the sustainable growth of the economy in the short and medium term, the President said. Overall, according to the address, the Nurly Zhol new economic policy will help create up to 200,000 new jobs through road construction projects only, as well as create a multiplier effect on other sectors of the economy including the production of cement, steel, machinery, bitumen, equipment and related services. At the end of his speech, President Nazarbayev highlighted that economic growth was heavily dependent on domestic peace and interethnic accord in the country. Celebrations of 550 years of statehood, 70 years of the end of the Second World War, 20 years of the Constitution and the Assembly of the People of Kazakhstan in 2015 must help promote unity and tolerance, he said. The younger generation has never seen interethnic conflicts, nor the depression and strife of the 1990s, Nazarbayev reminded. “Many treat stability and a comfortable life in Kazakhstan as something omnipotent. But what is stability? It is the well-being of our families, security and a roof over head. Peace is the joy of parenthood, the health of our own parents and the happiness of our kids. Peace is a steady job, salaries paid and confidence in the future. Peace is stability, a public heritage that should be protected, preserved and enhanced day by day,” the head of state concluded, stating the values that are most important to the people of Kazakhstan. The President’s message was welcomed by many politicians and experts who noted the relevance of strengthening investment policy at home and the importance of the strict implementation of the programmes announced. Political analyst Marat Shibutov commented to bnews.kz that the President was right to conclude that the falling prices on oil and the slowdown in the key international markets of the EU, China and Russian would take a toll on Kazakhstan and the best response would be in the development of infrastructure. “This allows livening up the economy and creating new growth points inside the country. … I believe the recipe is tried and tested, and it will be successful. Moreover, around 40 percent of money spend would return as taxes. So the Nurly Zhol [programme] would help the country, especially if the roads are good technically,” he said. Azat Peruashev, leader of parliamentary opposition party Ak Zhol, known for its pro-business stand, emphasised that enormous sums are allocated to boost growth, even more than during the crisis of 2007-2009, the Kazinform news agency reported. “To prevent ‘hand washing hand,’ to suppress the temptations, there is a need for an alternative point of view from [other political] parties,” Peruashev stressed in parliament. Nur Otan party’s parliament member Kamal Burkhanov commended the Nurly Zhol programme and agreed on the importance of strict control over the efficient use of the money to be allocated from the National Fund. 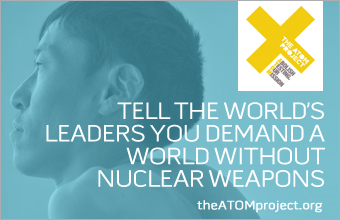 “The President demands control and I believe all [of the projects] will be implemented. We have no doubt about that. … If more people as good citizens will contribute [to control], then each tenge will end up where it must,” he said, according to Kazinform. The same day, on Nov. 11, Kazakh Prime Minister Karim Massimov convened a cabinet meeting where he instructed the ministries to start work on the President’s instructions and promptly introduce the changes into the budget programmes needed for their timely implementation.